Through this post, I’ll help you know about the methodologies (i.e. tools and technologies), you can use for designing apps such as iOS and Android. There are tools available online that enables to build a mock-up of an app design easily. In fact, some of you may choose Photoshop to address such a need. However, using this tool will produce static mock-ups that often fail to communicate things – such as design hierarchy – resulting in limited interaction. But, with the increase in demand for mobile apps, you need to focus on creating interactive designs that help enhance user experience. Animation is the key to creating designs that communicates effectively. In essence, adding animation to your app design helps in improving interactions to enhance user experience. 1. Sketch: If Adobe Fireworks has been a part of your daily workflow or you’re planning to use it, then you’ll certainly be distressed hearing about the demise of this tool. Fortunately, there’s a tool that works as a great alternative to Fireworks, called as “Sketch”. It is designed keeping in mind the needs of modern graphic designers involved in creating prototypes, and most importantly, it works just like Fireworks. Sketch is a great option for creating the app UI design, however, to make your design more interactive, you can combine Sketch with other tools such as Flinto and InVision. 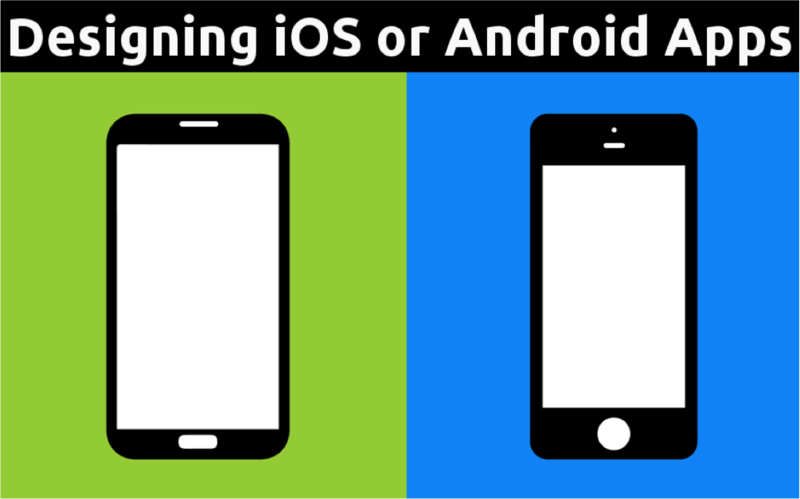 This will help in making the process of prototyping iOS and Android app design render better user experiences. 2. Flinto: Another great prototyping tool you can use to design interactive prototypes of iOS and Android apps, is Flinto. It helps to build mobile app prototypes from your existing screen design in a quick manner. What makes it a viable option is the ability it provides to designers to test prototypes – right from the start of the development phase. You can export your Slice app files saved in PNG or JPG formats right into Flinto. 3. InVision: This prototyping tool helps to turn any static design into interactive prototypes containing gestures, and other enhanced elements. It helps in creating designs that your users and team can view on their devices, as and when required. InVision provides native support for Sketch app files. It helps to export numerous files from a Sketch file and combines it with “file syncing”, resulting in an extremely fast workflow. In fact, InVision helps add gesture support in your app design created using Sketch. Additionally, you can even add comments to your design, and thereby reduce the confusion you may have regarding from where the feedback is coming. Once you’ve finished designing a successful prototype of an app design, it’s time to give shape to your design (i.e. build an app). Fortunately, there are some great mobile platforms available over the web, using which you can build an app for platforms such as – iOS and Android – and that too without fiddling with the code. This mobile platform helps to build native iOS-enabled and Android apps in a timely and effective manner. You can develop the app either using TheAppBuilder’s online kit, or opt for the training provided by TheAppBuilder team instead. Thanks to this platform, you can build high-quality apps (like employee and external apps) at remarkably affordable prices. This is an easy to use development platform that helps to build an app (like Android, Windows, and iOS) in just 3 simple steps. When using Appy Pie, you don’t need to install anything, all you need to do is to drag-and-drop pages for creating your choice of mobile app. The best part is that, you can even review your app in real time. In addition, you even get the ability to earn money by placing ads in your app, see live analytics, and more. This platform helps to build native iOS and Android apps, without the need to write code. Using AppMakr, you can develop a wide range of quality apps that continuously gets updated without needing you to spend any additional cost. An app developed using this platform comes packed with several features, including HTML5 functionality, navigation control, push notifications and many more. Furthermore, AppMakr even allows publishing a test app to let you know how your app looks like, before getting it published in the app store. It helps to create apps for Android, iOS, HTML5 and Windows powered devices. Since it’s a cloud-based app, there’s nothing you need to download. It provides built-in backend services, and helps to add powerful functionality into the app using its plugin catalog. You can even create your own custom plugins that you would like to use for your apps. This platform is ideal to be used for creating cross-platform enterprise apps. Appery provides excellent collaboration. It allows users to share their mobile app development projects with their teams, clients and stakeholders in real time. Here’s hoping that the post will help you better understand the methodologies following which you can create a successful app. You will get to know why you should start creating prototypes (in you still haven’t tried it already). Just as you may know, building something that’s interactive will most likely help to communicate your message to users (and team) in a better manner compared to a picture. This not only help you have better conversations with your customers, but also improve collaboration when working on a project in a team. Sketch is a great UI design tool that many designers are finding useful as a replacement to Adobe Fireworks. It’s lightweight and can work along with prototyping tools like Flinto, InVision and others, for introducing HTML5 functionality or native code. 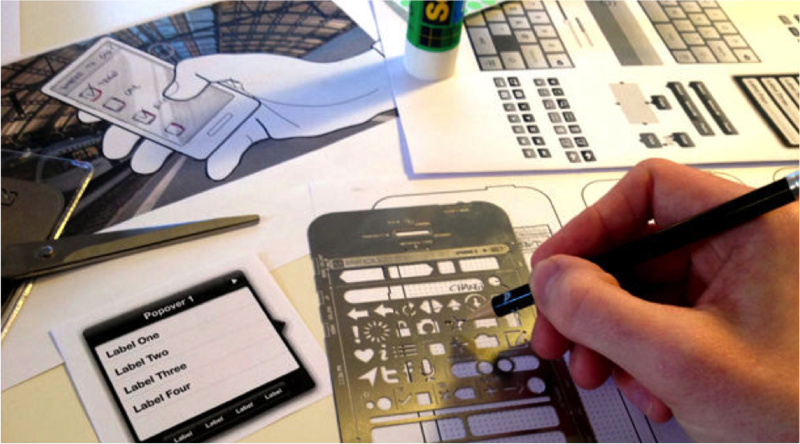 Of course, once you’ve completed designing the prototype, you can proceed with building your app. Reading this post will also help you learn about some of the best platforms, you can use to accomplish such objective. Author Signature: Addison Cohen is an application developer for Appsted Ltd, an iPhone app development company which delivers most comprehensive mobile application solutions for different industry verticals. He loves sharing latest information on mobile technologies like iOS, Android development processes.